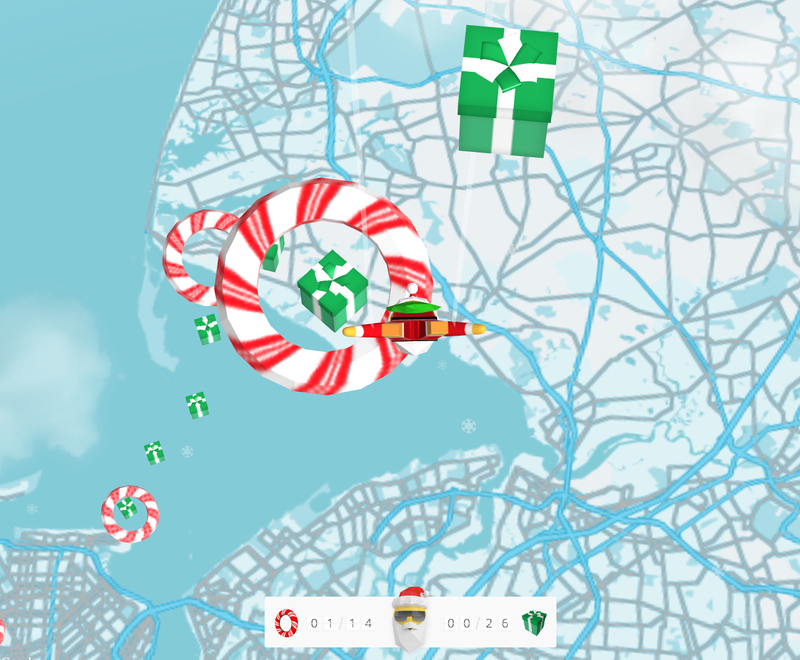 After debuting a Chrome Experiment called Map Dive at its I/O conference in May, Google has released a new, Christmas-themed version called Santa Maps Dive. Similar to the original, you take control of Pegman – the iconic yellow icon from Google Maps – and control his descent through a series of green presents and candy loops. All the while, the landscape below shows a segment of Earth based on data from Google Maps. Six cities are available, and your mission is to collect as many items as possible before reaching the final landing pad. The in-browser game was built for Chrome using WebGL and while it’s an impressive piece of programming, it’s also just heaps of fun to mess around with in the cold, dark days leading up to Christmas.